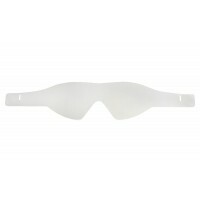 Lens is coated to prevent fogging. 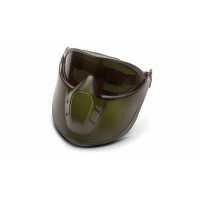 Soft vinyl goggle body conforms to facial contours. 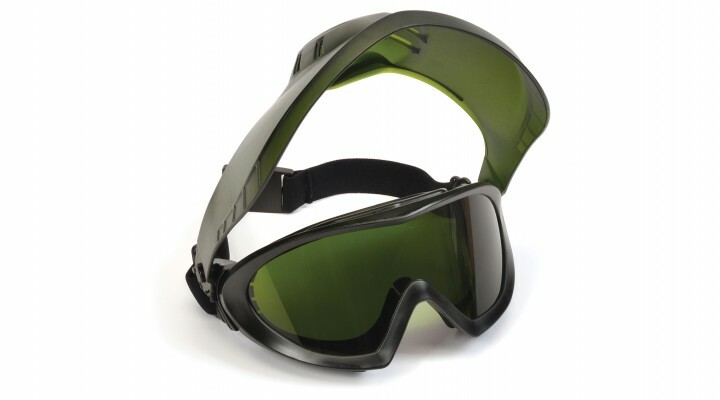 Goggle provides protection against dust and chemical splash. 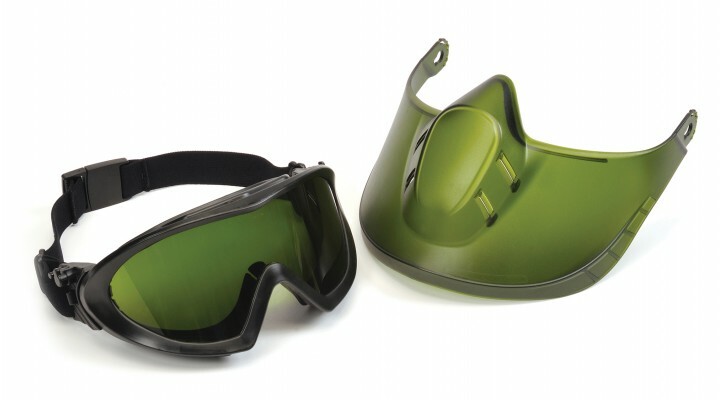 Removable vent caps allow the user to remove when more ventilation is required or leave in place for unsurpassed chemical splash resistance. 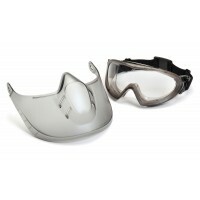 Goggle incorporated with removable shield provides full face protection. 4 ventilation holes provide appropriate airflow. Ratchet shield allows user to open or close in 3 positions for adjustment. 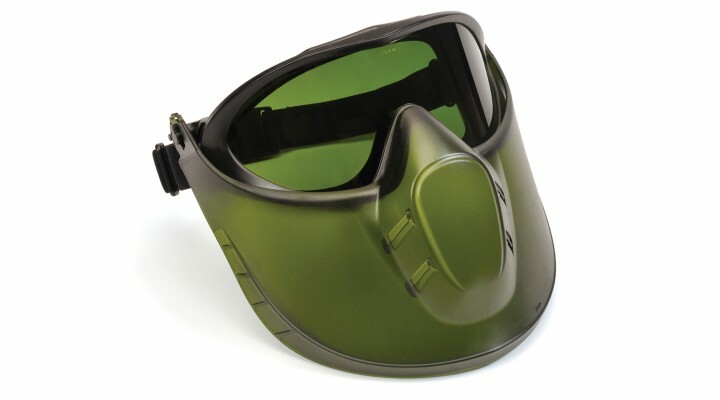 Polycarbonate shield conforms to the face offering increased impact and dust protection.